You might have forgotten about BlackBerry – formerly Research In Motion – the company that used to dominate the smartphone market with an iron fist before spectacularly declining in recent years. Even though you could be forgiven for presuming that the maker of the famed Bold handset range was busy dying a painful death behind the scenes, the Canadian company has actually been hard at work on some new devices, and among them is the very interesting, passport-shaped device called, well.. the Passport. Like so many before it, the handset includes the trademark keyboard, as does the new Curve / Bold-like Classic, and to complete the set, the touch-based Z3 is also in the offing. To see BlackBerry come through with a trio of new devices is a surprise in itself given how little attention the company gets nowadays from consumers and commentators alike. But the Passport is perhaps the strangest smartphone we’ve seen yet, with its squarish, tablet-like form factor giving off the aura of a prototype not meant to see the light of day. 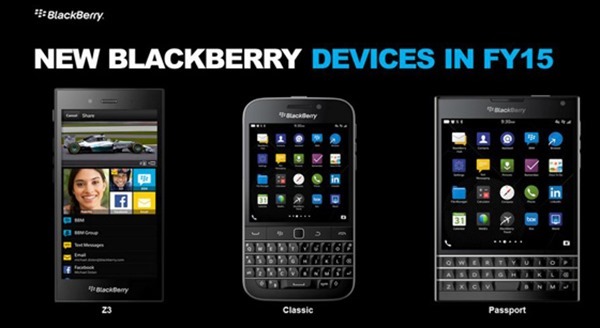 In fact, it looks like a throwback from circa 2006, something BlackBerry made back when, only to discard the idea and move onto something more logical. 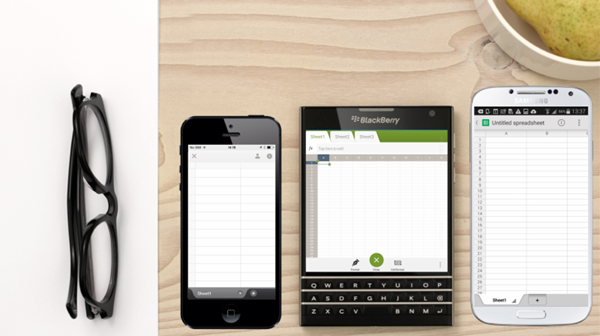 Given the rustiness of the company’s ideas mill – the move to open up BBM to iOS and Android was far too late in the day to compete with what’s available in the world of IM – we wouldn’t be surprised if those high up in the company have indeed pulled the Passport out of the vault, and with BlackBerry’s new CEO having spent more time bashing rivals than offering any decent solutions to the company’s plight, you already sense that Passport could be on a one-way trip to the scrapheap. This is an eyebrow-raising move from a company clearly low on ideas, although it remains to be seen whether the square display and trademark physical keyboard will win over those underwhelmed by what the smartphone market currently offers. The Passport will launch in September, with more details to follow over the next couple of months, and although we’re not all that impressed by the device itself, it’s still, at least, good to see companies trying to innovate in the mobile market. What do you make of the Passport?